We supply two ranges of insulation tape. A PVC Trade insulation tape (gloss finish) that is available in 20m rolls of black and red, boasting thickness and adhesive strength of a mighty 490g. 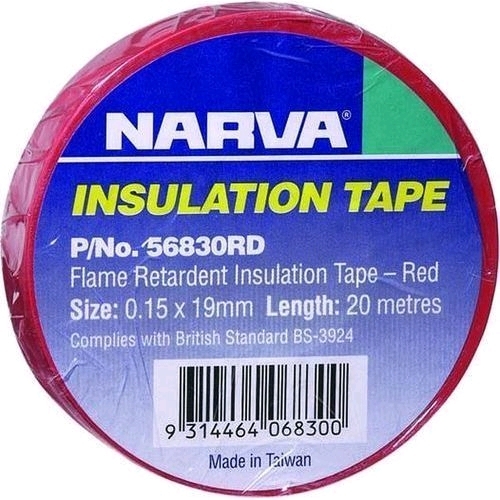 To meet all requirements, we also supply flame retardant tape that meets the Brittish Standard BS-3924. It is also available in 20m rolls of black and red. We also supply retail 5m rolls of insulation tape in six popular colours conviently blister packed.